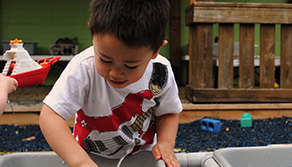 We use screening/assessment tools to monitor each child’s development. These tools include the Ages and Stages Questionnaire (given at specific ages) at least four times per year, Voluntary Pre-Kindergarten Assessment and Teaching Strategies Gold. Results are shared with parents during formal parent/teacher conferences at least twice per year. 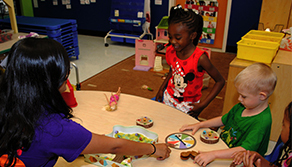 The staff use this information to help plan activities and individualize for your child. Lesson plans that reflect developmentally appropriate practice are posted in each classroom area. 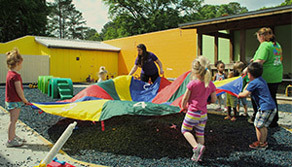 Daily schedules are also prepared and show approximate times for free play, circle time (large group activities, if appropriate) snack times, center time (small group/individual activities), nap time, and outside play. Our staff members will be happy to assist you with any questions or concerns. In general, questions regarding routine daily activities should be addressed to the classroom teacher. Therapists should be consulted directly about any concerns relating to physical, occupational, or speech-language therapy services. Any issues of particular concern or importance should be brought to the attention of the Director or other administrative staff, who are responsible for the overall operation of the center.